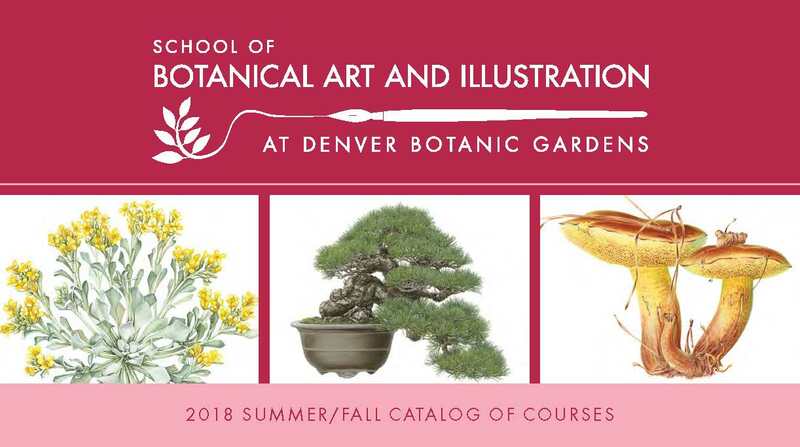 Denver Botanic Gardens’ Botanical Art and Illustration Program will award at least two scholarships annually for talented new students. The scholarship covers tuition for one required class within the Program and includes a starter kit and class materials for the course. The awards are determined on a competitive basis and require the submission of a portfolio and Artist’s Statement. For more information and to download the application form, please click here (pdf). In San Miguel, I love walking. People watching (as well as sketching) is always my favorite activity. Today the sun came out and shined upon all; it seemed to bring out everyone's smile as well. "Buenos dias," I greeted person after person I passed on the street. Church bells were ringing, some fragrant flowers were in bloom everywhere, and with the sun, once again, the vibrant yellows, golds, oranges, and reds of San Miguel were a feast for the eyes. 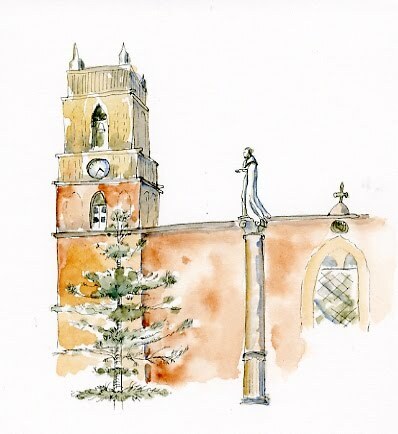 I sat upon a park bench, sketching in some of the bell towers that are everywhere looming over the town. An old woman with a young boy in her care joined me on the bench. She pulled out a wrapper with tortillas and offered some to me. Reluctantly I turned her down, muchos gracias (I still need to be careful of my poor intestines this early in the trip). The old woman and the boy shared the tortillas and a few vegetable snacks from her bag of goodies. Later, I walked up the steep hill towards El Charco. A family picked its way over the cobblestones down the edge of the road, so I stepped aside to let them pass. First the children airily skipped along as nimble as young goats. Then the father tall, on his shoulders a tiny girl in a knitted pink and white sweater. "Que bonita," I called to the Mama next in line, indicating the little girl. I was rewarded for my effort to speak in my Espanol estupido with a great big smile from the mother as she passed. Small interactions like these are worth the trouble of learning a new language and make travels such a pleasure. Judy and Joan (ed note: Judy Brown Santambrogio and Joan Pierce from Denver) have arrived and have described a lovely condo that they have rented for the week. It's still been rainy but we had a little luck and the sun popped out during our tour of El Charco with Mario the Director. 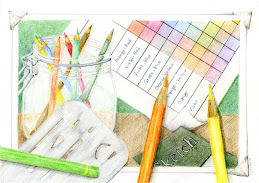 It seems like watercolors-mania up in the classroom between Connie's morning class and my afternoon class. We keep ducking the showers, but no one really seems to mind the rain and sprinkles. Connie and I keep exploring and every time I still find new things, like the large murals and the beautiful courtyard of the old Art Institute. Every turn takes us down a new and unusual street. The rain has made all the little fountains flow in the nooks inset in the walls along the streets. Buenos dias, Buenos tardes, rolls off the lips of most every of the older characters I meet as I walk the cobblestoned streets of San Miguel. It's still very colorful, just a little damp here! 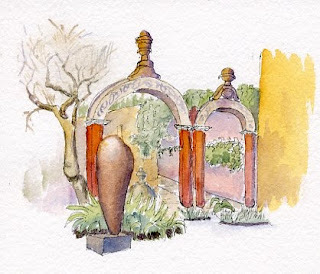 Constance Sayas and Karla Beatty are in San Miguel de Allende, GTO, Mexico and starting the one-week intense teaching pass at our satellite location in El Charco del Ingenio. 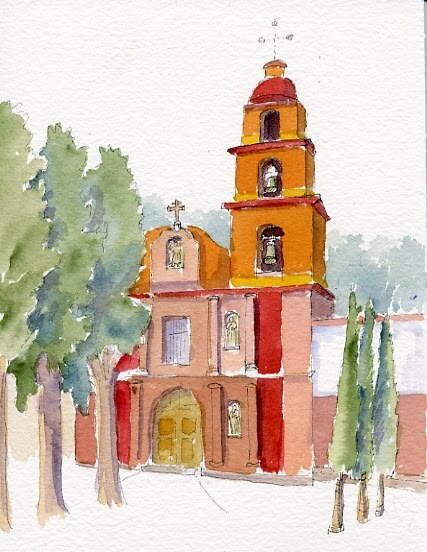 Ah, San Miguel...there is always something new and interesting happening here. Connie and I arrived just in time for the opening of some of the Bicentennial events. Our first night here and prancing through the square around the Jardin came a long line of ten-foot tall puppets, followed by actors on horseback dressed up as Pere Hidalgo and Allende, followed by a very serious marching band, and all that followed by many TALL characters on stilt, including a horse and a donkey! It was quite a parade. Connie's class started the next morning, Full, with so many eager students. They are all so appreciative of our classes and full of praise for all the teachers who have come down to San Miguel to teach. Our second night here and we were just in time for an unusual light show that was projected on the multi-turreted, ornate Parroquia building. Flashing lights, so many colors, and even a projected reenactment of the first uprising with Hidalgo and Allende. It was quite a scene. The Jardin and square were JAMMED with people. And at the very moment that the light show ended, the skies let loose with a tremendous rain storm. You never saw so many people exiting from such small streets so quickly! So... unfortunately, it is the rainy season here, and we have yet to see any sunshine. But we don't let the rain stop us and we go out, get wet, and still come back home happy. 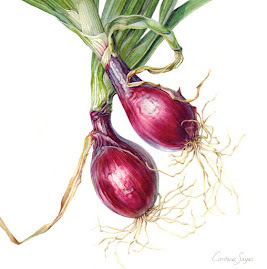 Denver Botanic Gardens’ Botanical Art and Illustration Program, in partnership with the Denver International Airport’s Art Program, invites you to participate in a juried exhibit highlighting the inextricable tie between plants and people. 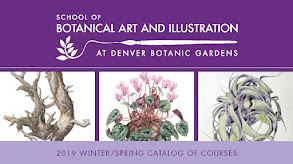 The exhibit is open to artists enrolled in any of the botanical illustration classes in Denver Botanic Gardens’ Botanical Art and Illustration Program (from 1990-2010) as well as the Program Instructors and Guest Instructors from 1990-2010. As a very special treat I was able to view the original Ferdinand Bauer and Thaddäus Haenke color codes from the late 1700s while visiting the Royal Botanic Gardens (CSIC) of Madrid in the beginning of July this year. It is still unknown how the Bohemian born Haenke purchased Ferdinand Bauer’s color chart (140 different colors) – Haenke developed it further and included it in his Systema Colorum, in which Haenke tried to establish a system of colors for the use of painters and designers working on scientific illustration. The system was reviewed in detail by H.W. 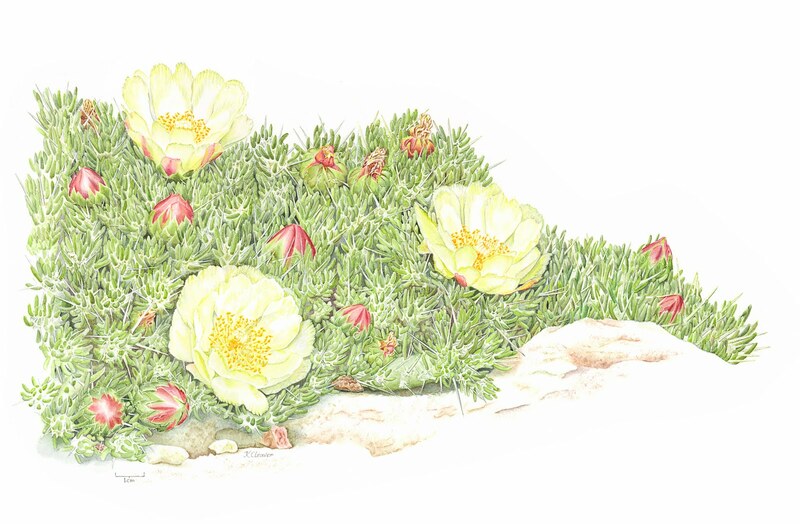 Lack and V. Ibanez and published in the Curtis’s Botanical magazine in 1997. Please see some additional images in the BI-Facebook. 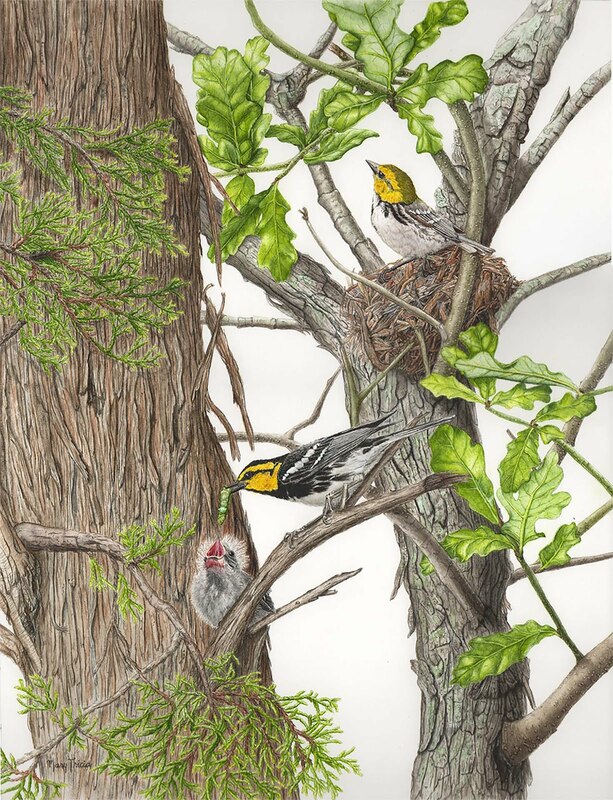 The Guild of Natural Science Illustrators is exhibiting in the North Carolina State University library through early August. This is the annual Exhibit for Guild members and you can see a slideshow of the displayed art at NPR Science Friday. 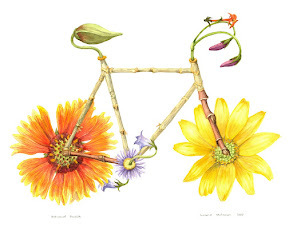 Marjorie Leggit, our BI-instructor has her work accepted to this exhibit. 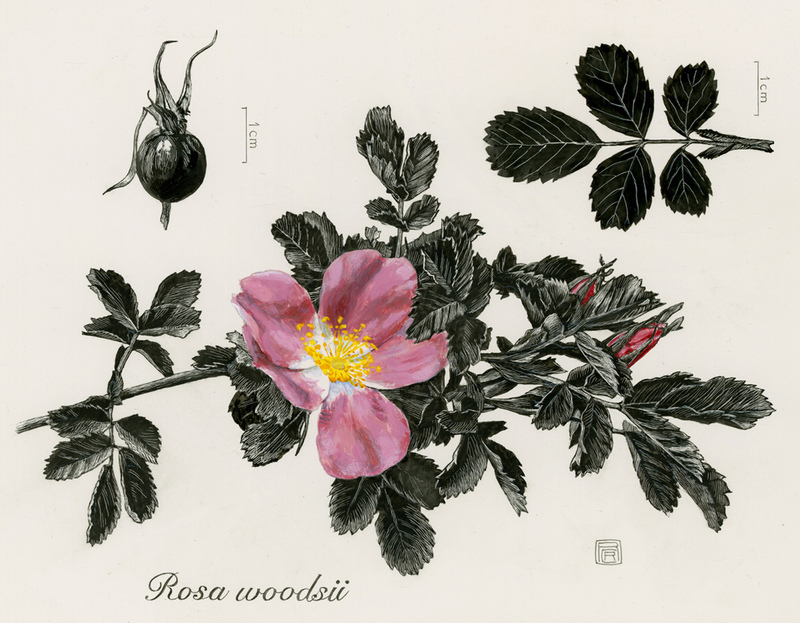 This collection was first published in 1952 and exhibited for the very first time outside Spain in 2010: At the moment more than 60 plates are exhibited in the Kew Gardens at the Shirley Sherwood Gallery. 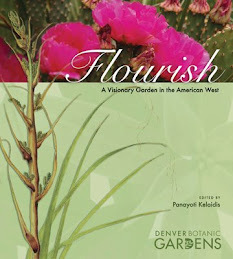 Shirley Sherwood also published a new book about this exhibit and the Mutis collection. The book is highly recommended and you can get lots of information what has been unknown for many of us living outside of Spain. For more information please click here. Kim Manajek, Manager of the Exhibits at Denver Botanic Gardens designed and helped to build the wooden transport box and the acid free envelopes for the individual frames. 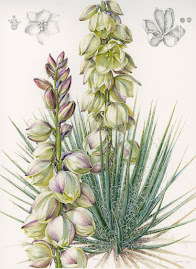 It is time for the Botanical Art and Illustration Anniversary exhibit to travel - From Penstemons to Pines will be displayed at the Art Museum of St George, Utah from July 24, 2010 through October 16, 2010. See more information about the travelling exhibit by clicking here. More images about the packing can be viewed in the BI-Facebook. Rocky Mountain Chapter of the North American Rock Garden Society (NARGS) is hosting the annual national NARGS-Conference in Colorado. The meeting is titled Romancing the Rockies. The Marriage of Plant and Stone and is held during the second week of July (July 11-14). 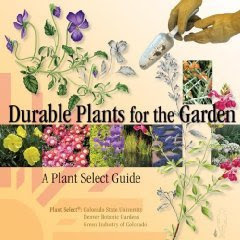 Most of the meeting is held in Salida, CO, however the first day (July 11th) will be spend in Denver touring the local rock gardens and finally in Sunday afternoon visit to Denver Botanic gardens with the Moore Exhibit and Botanical Illustration art show. The art show is on display only between 3 p.m. and 6 p.m. in Mitchell Hall (July 11th) before the official reception. 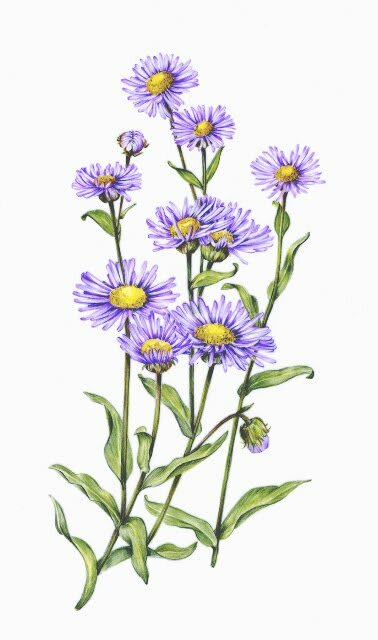 Twenty three excellent illustrations of alpine flora will be on display. 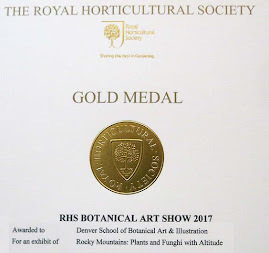 All the pieces are for sale and the proceeds benefit the Denver Botanic Gardens' Botanical Art and Illustration Program. Denver Botanic Gardens' Botanical Art and Illustration Program, in partnership with the Denver International Airport's Art Program, invites you to participate in a buried exhibit highlighting the inextricable tie between plants and people. 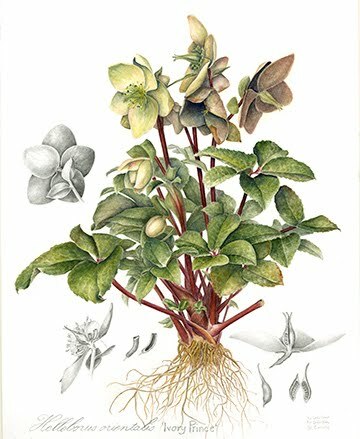 Subject Theme: Plants used in textiles, clothing, tools, cosmetics, dyeing, construction, medicine, magic, nutrition or for other purposes throughout the human history. Submission Deadline: December 6, 2010. Further Information and Contacts: Mervi Hjelmroos-Koski, phone: 720-865-3653. Alternate: Kim Manajek, phone: 720-865-3526.